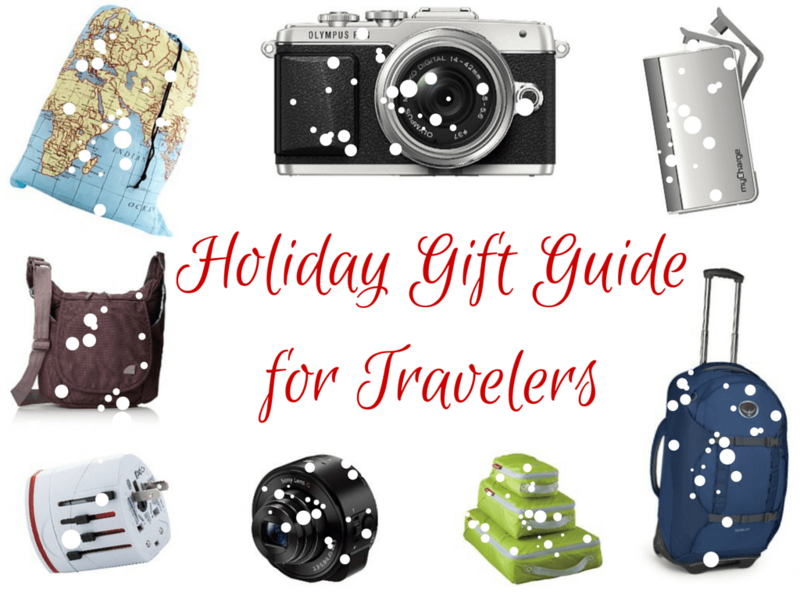 Amanda's 2014 Holiday Gift Guide for Travelers - PLUS a Giveaway! 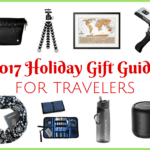 Amanda’s 2014 Holiday Gift Guide for Travelers – PLUS a Giveaway! Home » Blog » Travel Tips » Amanda’s 2014 Holiday Gift Guide for Travelers – PLUS a Giveaway! It's that time of year again! Time to trim the tree, watch corny Christmas movies, drink ALL the peppermint lattes, and hang the stockings up for Santa to fill. As a traveler myself, I know that it can definitely be tough to buy for someone who seemingly has everything they want and need because they want and need very little (or, at least are practical about how much they can carry with them around the world). If you, too, find yourself with a traveler in your life, here are some great holiday gift ideas! These days, I NEVER travel anywhere without my Kindle. My device of choice these days is the Kindle Paperwhite, which is small and slim, and comes with a backlight so you can read in dim light or in the dark — perfect for planes, hostels, or even camping! I got this Sony lens for my birthday this year, and have had some fun with it so far. You can clip it to your smartphone to turn your phone into a camera, or you can put it on a “selfie stick” to take photos of yourself on your travels. The lens communicates with your phone via a built-in wifi network and a special app, meaning it just needs to be somewhere near your phone in order to work and transfer the photos into your photo gallery (though you can put a memory card in it and just use it on its own, too!). This is a great camera alternative — throw this in your bag if you *might* want to take some photos, but don't want to lug a full-sized camera around with you. Considering how much I use things like my phone, Kindle, and video camera when I travel these days, having a battery backup is key. I picked up a charger block from MyCharge earlier this year that charges just about everything — meaning I can throw it in my purse along with a cord or two and not have to worry about running out of juice on my adventures. I've become a bit paranoid about losing photos and video clips when I travel, so last year my boyfriend bought me a Buffalo MiniStation Extreme – a 1TB hard drive that can handle the bumps and bruises of travel and still hold up great. I've been rocking an Olympus E-P2 for the past year now, and let me tell you — I LOVE this camera. It's small enough to fit into the purse I usually take traveling, lightweight, and extremely versatile. You can buy interchangeable lenses for it (along with the kit lens, I also have a Zuiko 40-150mm zoom lens), and manually adjust all the settings. My friends who travel with bulky DSLRs are often jealous of this camera. However, this is an older model, and it's difficult to find it online anymore. If you're interested in a similar model, check out the Olympus E-PL5 or Olympus E-PL7. These are slightly smaller than the E-P2, but still take great photos and allow you to swap out lenses. Before my E-P2, I had an E-PL3. If I were to buy a new camera now, I think I'd go with the E-PL7 – it even has a swiveling screen for selfies! If you're not interested in interchangeable lenses and swivel screens but just want a quality point-and-shoot camera, I would tell you to get a Canon. Canon makes some of the best point-and-shoots out there — they were my go-to camera brand before I switched over to a mirrorless system. I would suggest looking into the PowerShot S120 or PowerShot SX700 — both great point-and-shoot cameras with pretty awesome zoom capabilities and photo quality. In the past year, I've decided to move away from backpack-only travel. In some cases, you don't NEED a backpack — and in some cases it's really nice not to have to carry all that weight on your back. I got a 60-liter Osprey Sojourn pack earlier this year, and am a complete convert. Not only is the bag sturdy and roomy, but it has great wheels on it AND hidden backpack straps to be used in an emergency. I've been using it the past month in New Zealand, and it will be my new go-to travel bag for destinations where wheels won't be cumbersome. I feel like I could write an entire ode to packing cubes, I love them so much. They are great for organizing a bag and making re-packing a breeze. They also are very affordable and take up virtually no space! Eagle Creek makes my favorite brand of packing cubes, and I have two sets of these to GIVE AWAY TO YOU, just in time for the holidays! Check out the bottom of this post for more info! For the past year or so, I've been traveling with a blue Donner bag from Overland Equipment. It's a great travel bag for a lot of reasons — mostly because it's durable, has the perfect amount of pockets and space, and is kinda cute, too! Because why not? If you're going to take a laundry bag anyway, why not make it a fun travel-themed one? When you travel a lot, having a good plug adaptor is key. I have a cheap all-in-one iSunnano travel adapter that works just about everywhere and doesn't have a ton of pieces and parts to worry about losing. Solid perfume sticks are perfect for the frequent traveler, because it means not having to worry about the liquids rule when flying — and, since they are usually smaller than a tube of chapstick, it's super easy to slip one into a purse or cosmetics bag. My brand of choice is Aroamas — you can read a full review here! Shutterfly used to just be a website to use to print photos or make photo books, but today the site has tons of other options, from canvas prints to dinner plates to phone covers to customizable portable chargers (I SO want one of these!). A Shutterfly gift card would be great for the traveler in your life who likes to remember their travels in a personalized way. Like I said earlier, I'm kind of a little bit obsessed with using packing cubes when I travel. Eagle Creek is my favorite brand, and they've given me two sets of their Specter cubes to give away to my readers! To enter, just follow the Rafflecopter directions below! The contest is running for ONE week, December 8-15, so that hopefully I can get the cubes to the winners by Christmas. Good luck!! Tell me, what are YOU asking Santa for this year? *Note: Yes, there are affiliate links in this post! That means if you buy anything through one of these links, I'll get a small commission. It doesn't cost you anything extra, but it me helps me maintain this website! I’m asking Santa for Lightroom 5 for Christmas, as I need some decent photo-editing software and most bloggers seem to swear by this. I love the laundry bag, what a fun idea, and I’m making a note of your Canon point and shoot recommendation. I travel with a DSLR and a point and shoot, but my existing Canon Powershot is battered and scratched and parts of it have finally stopped working! Nice! I haven’t converted to Lightroom yet simply because I know from having Photoshop in the past that I would probably get sucked into it and spend waaaay too much time editing my photos! Haha. But I hope Santa brings it for you! I don’t have much of a list this year, but I hope to travel some next year and would love these cubes to help me pack! I am also asking for Lightroom for christmas! someone got me the how to book last year, but then no one got me the software! As for small mirrorless cameras I have just recently switched over to the Sony Nex 6. I have been a SLR user for YEARS and started to find i just didn’t lug it around as much as I used to pre-child. I took the Nex6 on our family trip to India this year and it was pretty good. it is not my DSLR, but i was ready for a change anyhow! Well hopefully you’ll actually get Lightroom this time around! I can understand not being too wowed if you switched from a fancy DSLR to a small mirrorless camera. But it IS so much easier to carry around! I love the world map laundry bag!! 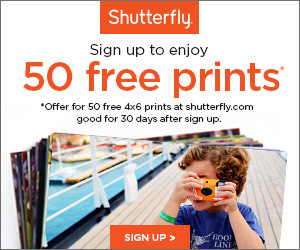 I’ve not tried Shutterfly but Blurb, an Australian company, offers really competitive pricing if you’re down under. I keep saying I’ll make my Dad a photo book but time seems to run away the closer it gets to Christmas! Oh yes, I’ve heard of Blurb! Their photo books look really nice. The number one spot on my wish list goes to a shiny new Shun chef’s knife. I have never used packing cubes before but I’m a freak for organization so I’m sure I would love them. If you like being organized, packing cubes are definitely for you! My wish list includes a underwater housing case for my Sony Action cam (along with a case for the camera and accessories) plus a new lens for my camera with a larger aperture range. Ooo a Sony Action Cam – how do you like it? Everyone I know seems to have a GoPro, but I haven’t been convinced yet to get one! i am asking for new luggage. I have picked out Travelor’s Choice Tasmania for the expandable hard sides and straps that link them together. Is your osprey backpack with wheels carry on size? I think that would be a perfect gift for my brother! No, my Osprey is a little bit too big to be a carry-on. But Osprey makes similar packs that are carry-on friendly! Check out the Meridian or Ozone – they are also convertible like the Sojourn, but are small enough to take on a plane. I have been dying for some packing cubes! They look so awesome! Packing cubes are an invention sent from heaven! I got some for my recent trip to Slovenia and they made it sooo much easier to pack! I love them! I was even debating getting different sizes for my next trip. These are all good gift ideas, and I LOVE my Kindle paperwhite too! It goes everywhere with e, even at home! Haha yesssss, another fan of packing cubes! You have seen the light! 😉 You’ll never pack without them again! There are so many travel related items on my wish list! I am crossing my fingers for a microfiber towel, packing cubes, travel pillow, and a few more items that will make backpacking slightly more comfortable! Nice! 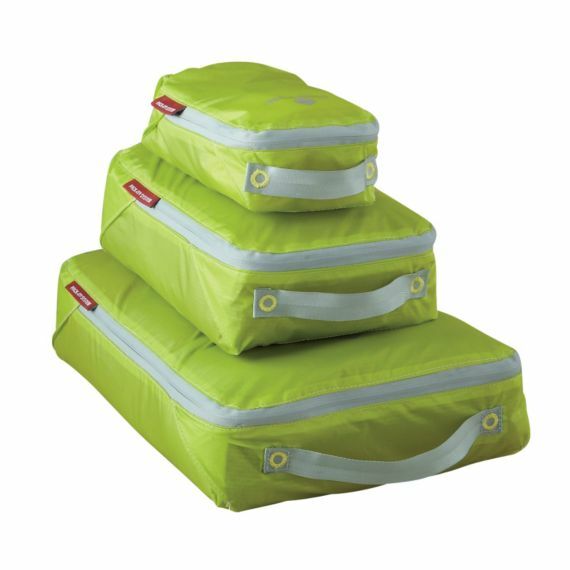 Ask Santa for an inflatable travel pillow – much easier to pack! For Christmas this year I’m getting a long weekend in Shanghai…. though a new camera would be nice too! Ooo, sounds like a fun present! I want ALL of these! Great list. I actually have packing cubes on my list this year, haha, I’m always so unorganized, I definitely could use some! I’m asking for eye cream and $$ that will go straight into my travel fund!! Would love the packing cubes for my next trip! Money for the travel fund is always worth asking for! Great list, Amanda! I love that laundry bag, haha. Thank you! And yes, I may order that laundry bag for myself! Always a great gift to receive! If possible if those packing cubes can be sent all the way down to me in Africa – planning my trip to Vietnam for next year! And Vietnam! Awesome! I loved Vietnam. I’m just not asking for much this year, just that my family is happy and healthy. Always a great thing to hope/ask for. So sad when backpacks die… Osprey makes some great ones! Really happy with mine so far. Vacation books are the best kind! Great products! Makes me want to get out there and explore!!! Thanks, Chelsea! These are some of my favorite things to travel with! Haha, no shame in that, Sarah! I LOVE my Kindle! For Christmas, I want to plan a trip with my family – that’s what we’re doing for presents this year. Love this list! I definitely want to try out the Aromas perfumes, but a GoPro is what I’ll be gifting myself for Christmas! Great list. I bought myself an Olympus E-PL3 last year for Christmas, after debating whether or not to get a DSLR, and I definitely made the right choice for myself. I love being able to have a camera that’s light enough to carry around with me. Awesome to hear! Olympus makes great mirrorless cameras – glad that it was the right fit for you, too! I’ve never tried packing cubes! I’m a big fan of compression bags and have been curious about the cubes! You would probably love them! They’re so great for organization, and being able to easily find things in your bag! Oooo plane tickets are the best gift! Great list! I’m crossing my fingers for a new camera this year..
Hmm, yes, I don’t think Santa can award doctorate degrees! 😉 But the rest would be just as good. Wow, Seeing these gifts makes me more active to travel. I am OBSESSED with packing cubes! I have no idea how people travel without them, they make everything 10x easier. I have eBags brand but I’ve heard good things about Eagle Creek as well! I feel the same way! I just don’t understand how people live without packing cubes! Haha. I have that Osprey wheeled pack and love it to bits! It’s so great, isn’t it?? Ah, yes, these would definitely help since there’s only so much you can fit into each one! Okay, first of all, Hi! I’m V. Fellow Midwestern girl and world traveler. Secondly, I love your blog. Particularly the illustration in your header. So unique! I’ve only just stumbled upon your blog but I feel like I already know you. Maybe because we have so much in common. Finally, what is a packing cube??? Packing cubes are exactly what they sound like! They are zippered bags/cubes that you can use to organize your clothes and things when you’re packing! Not much is on my wish list for Christmas, however I did just buy my boyfriend a new backpack. He’s had his eye on a particular pack for a while so I knew it was something he would love. Now all I need to do is sneak it into our luggage for our Christmas holiday so he can open it on Christmas day. Aww, I’m sure he’ll be so excited! I am really hoping for a new backpack this Christmas. My previous one was a cheap buy over ebay when my proper one was lost by an airline. Hoping to get a decent one and maybe some packing cubes! Bummer that an airline lost your (good) bag! A good backpack is so important, though… especially if you’re using it a lot! This year, my partner and I are both asking Santa for a joint present, a GoPro! We’ve never been good at ‘surprise’ presents, rather we just ask each other what we want, set a budget and off we go. Simple. Although this year, we’re combining the one gift as it’s not the cheapest, eek! Can’t wait for Christmas Day to open that present. Such a good idea! And I’m sure you’ll put that gift to good use! Plane tickets to Hawaii are at the top of my list this year! Thank you for the wonderful giveaway. I actually put packing cubes on my Christmas list! But my biggest wish is a Japanese rice cooker. Both great things for a Christmas list! Nice! Any specific one you’re hoping for? Aww, what a great gift! I really want some cute tops. I’m hoping for a travel scarf with hidden pockets along with a new travel backpack! I’m sure my boyfriend would like one, too! The top thing on my wish list is a new TV. I am asking for a GoPro and laptop. I want a pair of brown slacks. I would like to update my wardrobe! Yes, a new camera sounds perfect for you! Happy travels! I would really like an ereader. The top item on my wishlist is a phone that works. I am hoping for the Moto G 2nd Gen. Affordable, but still an upgrade from what I have. The only item on my list this year is some warm fuzzy socks.I really don’t get presents because I want my 4 kids to have a great Christmas. A good pair of fuzzy socks are great! The top thing on my list is that my 2nd oldest will be approved for time off work to fly home so we can all be together. I would love those Aroamas, since fragrance is my addiction! They are great – perfect for traveling! I’m falling in love with winter scents, and the Iced Gingerbread from Bath and Body Works comes in a travel sized hand cream. Lugage is on the top of my wish list for Christmas. Thank You for the giveaway…hoping Santa will bring a pair of water-proof, Gore-Tex running shoes ! I’m hoping for a travel bag that is just the right size for my camera!